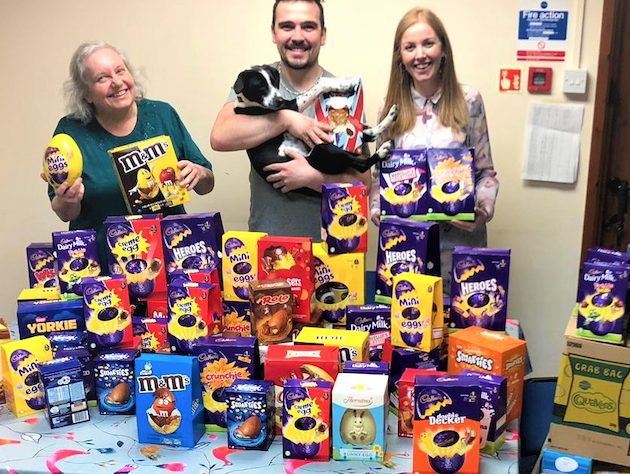 CUSTOMERS and staff at the Fox and Hound pub in Orsett, Grays, have donated more than 400 Easter eggs for patients and families being supported by St. Luke’s Hospice. 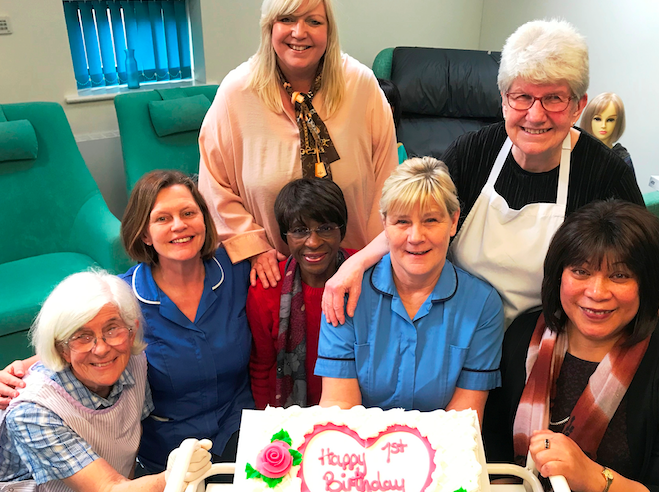 LOCAL charity Thurrock Contact the Elderly have thanked one of their volunteers Jane Penticost. 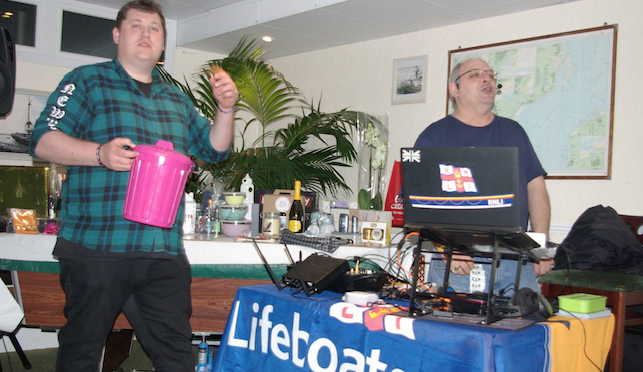 A fundraising Bingo evening in Grays raised over £1000 to help local mum Beccy Lewis who is battling to overcome life threatening cancer. 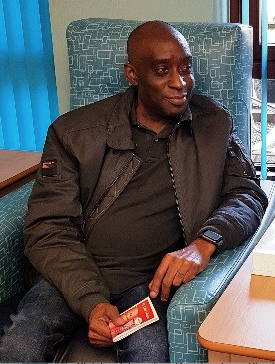 THIS month, St. Luke’s Hospice has been supporting a new national campaign aimed at widening access to the vital support hospice’s provide for people with life-limiting conditions and those who care for them. The ‘Open Up Hospice Care’ campaign highlights how hospice care is available beyond hospice in-patient units, including in people’s homes. 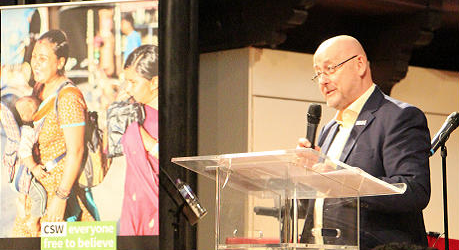 PUPILS from primary schools in Thurrock and Basildon sang their hearts out in a competition for St. Luke’s Hospice yesterday [Thursday 21 March], judged by BBC’s The Voice UK winner Ruti Olajugbagbe. 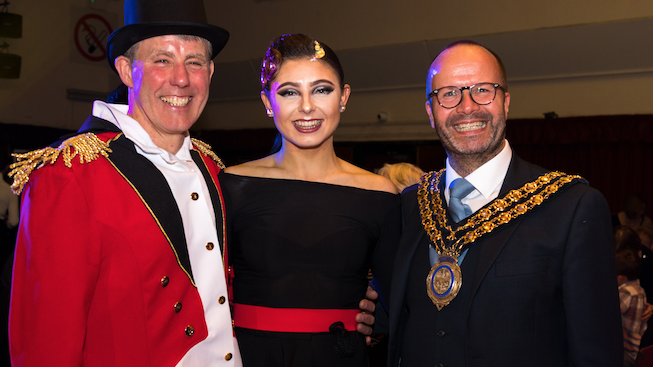 DANCE novices took to the dancefloor on Saturday (16th March) in a Strictly-inspired fundraising event for St. Luke’s Hospice, helping to raise a staggering £32,000 for the charity. 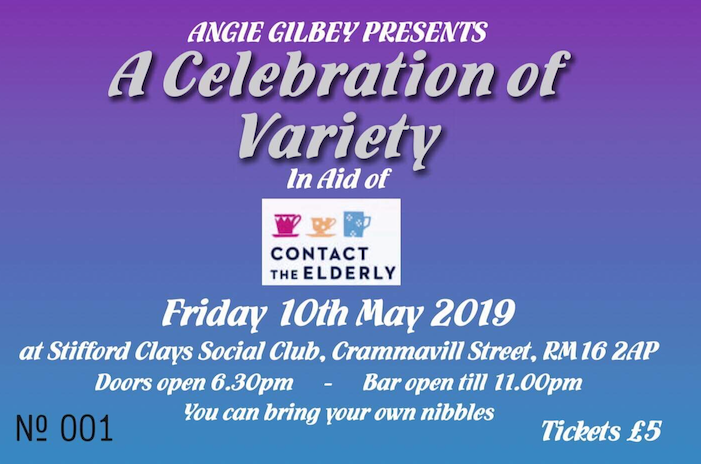 Contact the Elderly to host a night of variety. 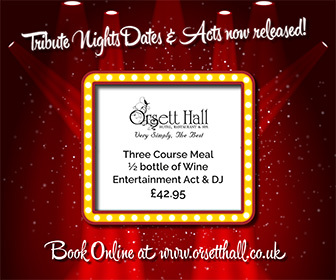 Full details on poster. 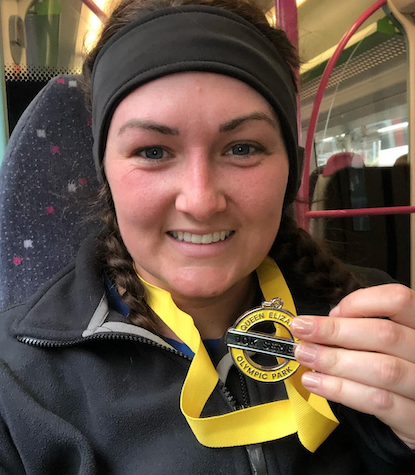 THE Wig Bank operates on the last Saturday of every month at St. Luke’s Hospice and has a simple concept – Unwanted wigs are donated to the ‘Wig Bank’ where they are cleaned and conditioned to a professional standard. 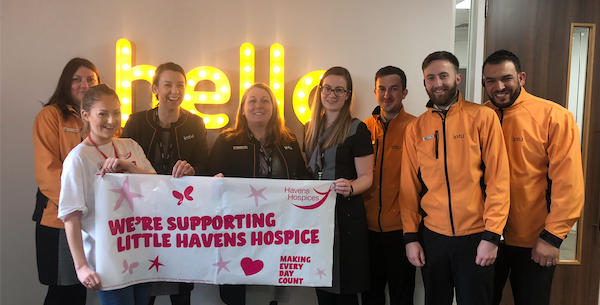 ESSEX’S largest shopping centre is sharing the love with the region’s only children’s hospice ahead of Valentine’s Day. MEMBERS of Orsett Golf Club have raised a fantastic £15,000 for St Luke’s Hospice through a series of fundraising events and initiatives held throughout 2018. 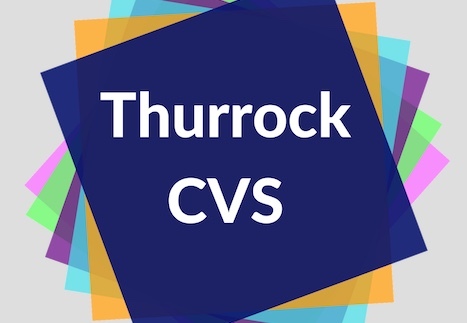 FOR the first time ever, a community action day is being launched to raise money for Thurrock on Friday 29 March by local Charity – Giving for Thurrock. 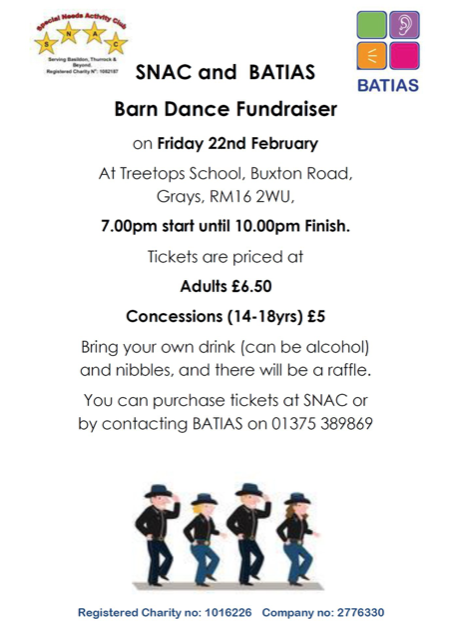 Barn Dance Fundraiser for Special Needs Activity Club. 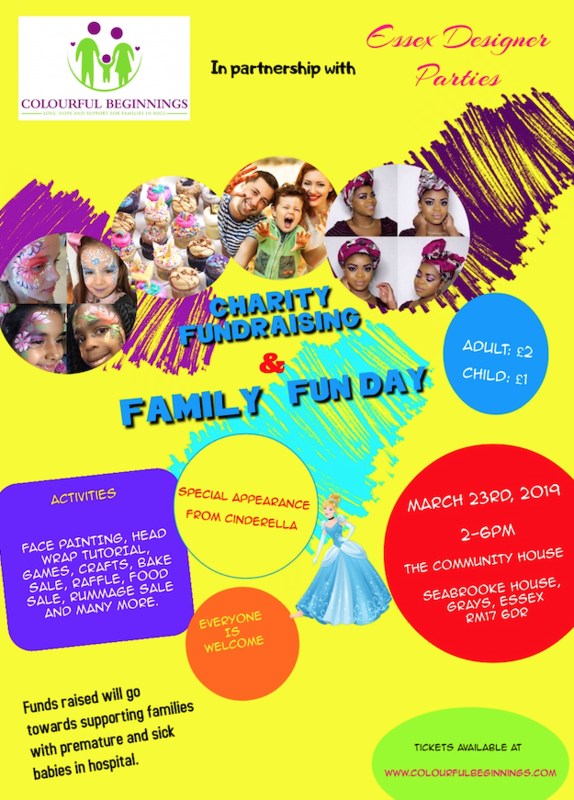 Full details on poster. 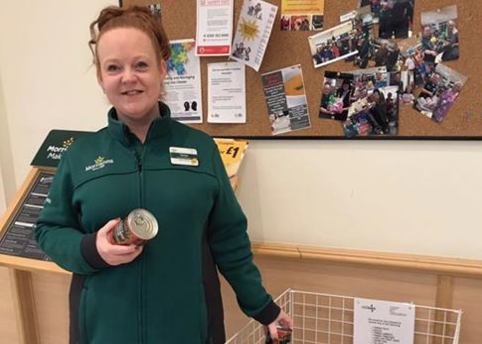 THURROCK Foodbank is pleased to announce that they have a new food collection point at Morrisons in Grays town centre. 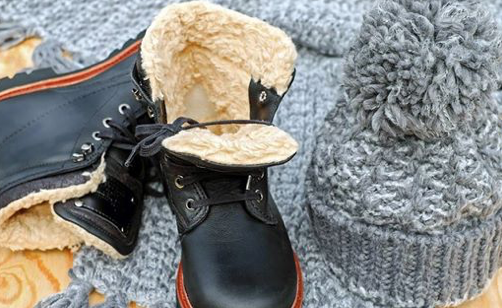 It is available all the times the store is open. 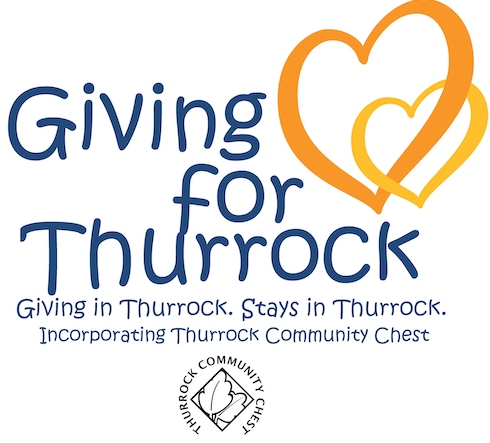 GIVING for Thurrock (incorporating Thurrock Community Chest) are pleased to announce that the first round of funding has become available from the various fund raising activities that have been undertaken over the past 9 months. 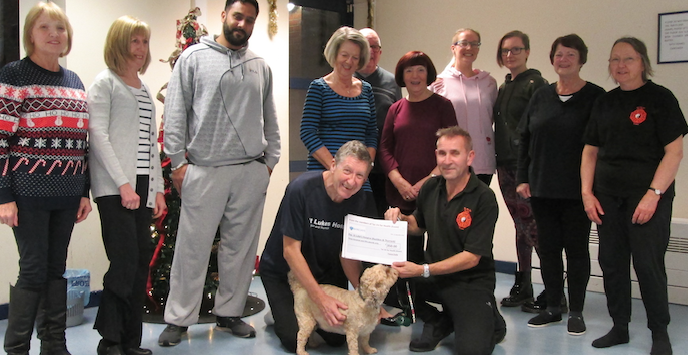 DP World London Gateway and ATL Haulage Contractors Ltd make special, festive delivery to Little Havens Hospice. 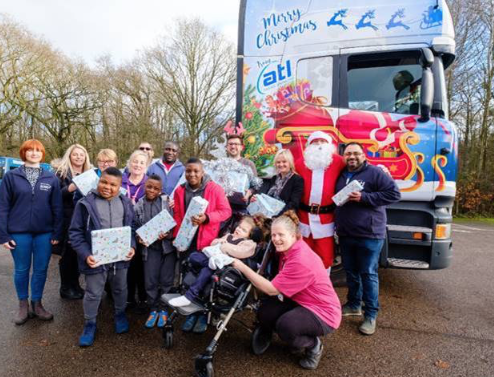 AN ATL truck, decked out in a Christmas sleigh wrap, and with Father Christmas behind the wheel, delivered presents to the children’s hospice in Hadleigh. 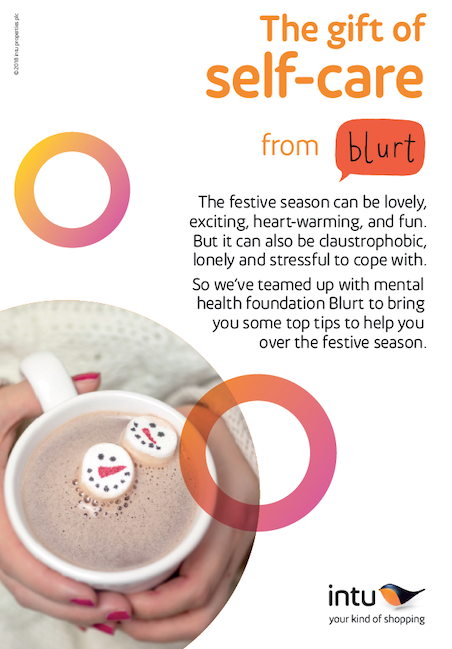 INTU Lakeside has partnered with mental health foundation Blurt to provide advice to customers and staff on managing their mental wellbeing over Christmas. 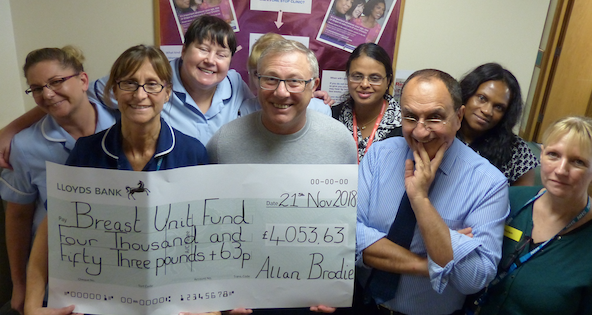 A CHARITY golf day has raised an amazing £4,053.63 for Basildon University Hospital’s Breast Unit Fund (BUST) and event organiser, Allan Brodie, presented the cheque to Breast Unit staff on 21 November.